Facebook today unveiled a wireless virtual-reality headset — the Oculus Quest — in an attempt to help popularize the developing technology with a more mainstream audience. According to a new press release from Facebook, the Oculus Quest is the realization of the long-anticipated “Project Santa Cruz,” and according to Facebook CEO Mark Zuckerberg, the bookend of the first generation of Oculus virtual reality headsets. 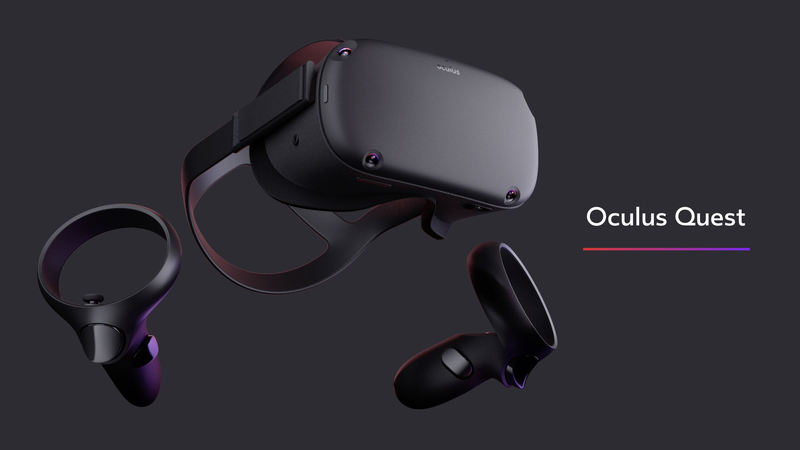 Slated to ship in the spring of next year, the headset combines some of the experiences and hardware of the flagship Oculus Rift, such as the Oculus Touch controllers, and the standalone nature of the Oculus Go. The Oculus Quest is a self-contained piece of hardware — no PC or phone required — much like the Oculus Go, the $199 USD mobile headset that debuted earlier this year. But, unlike the Go, the Quest looks to bridge the gap between mobile and PC VR, and bring a higher-end experience with more advanced controllers. “This is it,” Zuckerberg said. “This is the all-in-one VR headset that we have been waiting for.” Zuckerberg painted Quest as a key part of Facebook’s plan to get 1 billion people to use VR, a goal that he admitted was still far away. Oculus will include two of the Rift’s Touch controllers with the Quest in order to provide a consistent, yet familiar method of interacting with objects in virtual space. The Quest also sports a full six degrees of freedom, so not only can you tilt your head to look at things, the headset should be able to track your head so you can move around and enjoy the experience of untethered VR. Zuckerberg also promised that many PC-based VR games and apps will be ported to the Quest, possibly making the headset feel closer in spirit to the PC-based Oculus Rift. The $399 USD price includes 64GB of onboard storage.